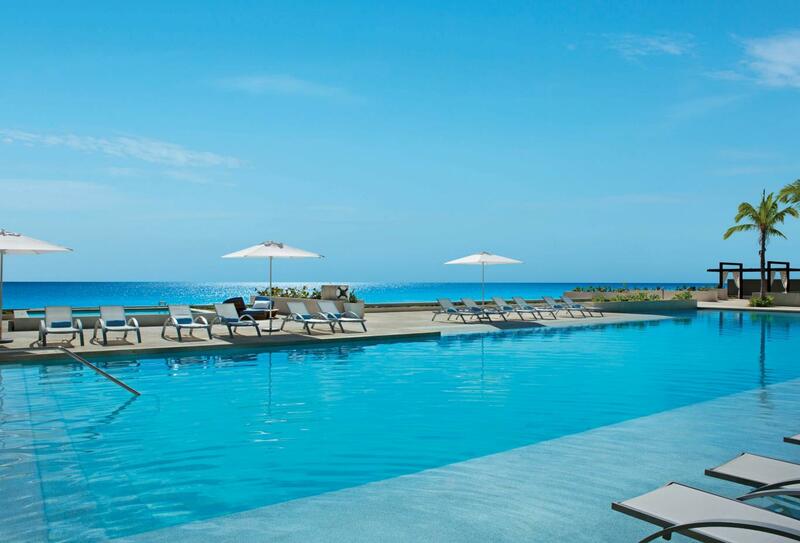 This all-inclusive resort is a member of the Secret’s family, sitting alongside a sugar-white beach it is home to three large infinity pools and a plethora of land and water sports to keep you inspired. By night you will be entertained with live music and dancing, as well as weekly theme nights, or if you choose, just chill-out with a drink and a stunning view over the ocean. 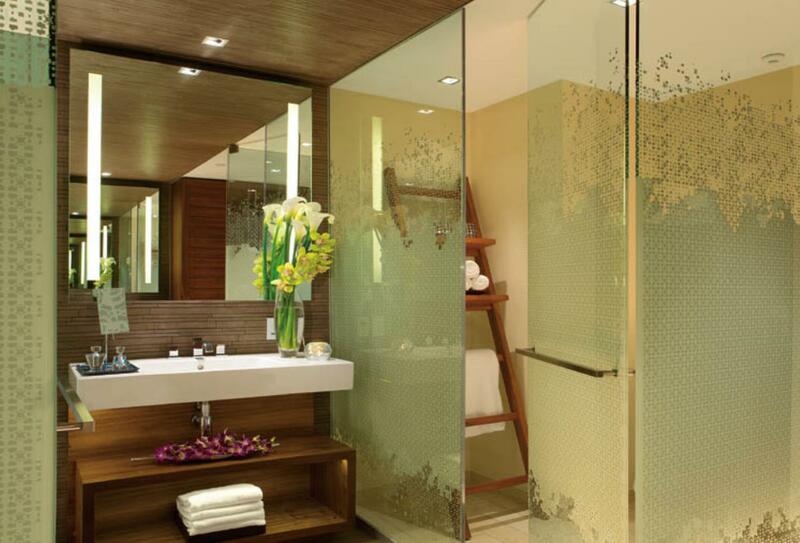 Your accommodation is flawless with modern bathrooms, spacious interiors and private balcony or terrace. This non-smoking resort offers the renowned Unlimited Luxury® package enabling you to plan ahead, knowing that virtually all you desire is already paid for. These rooms include a choice of bed configurations, either one king-size bed for a couple or two queen beds to sleep up to 3 guests. 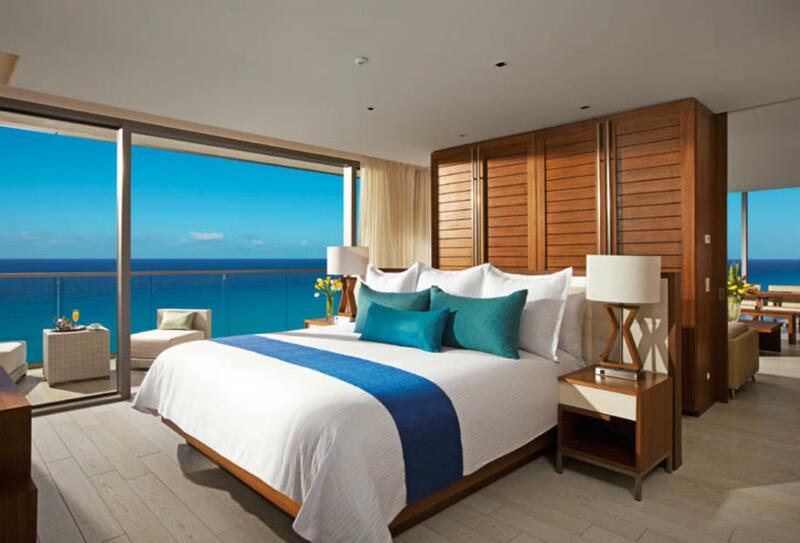 With plenty of space for a couple, these Junior Suites overlook the ocean from your private furnished balcony. 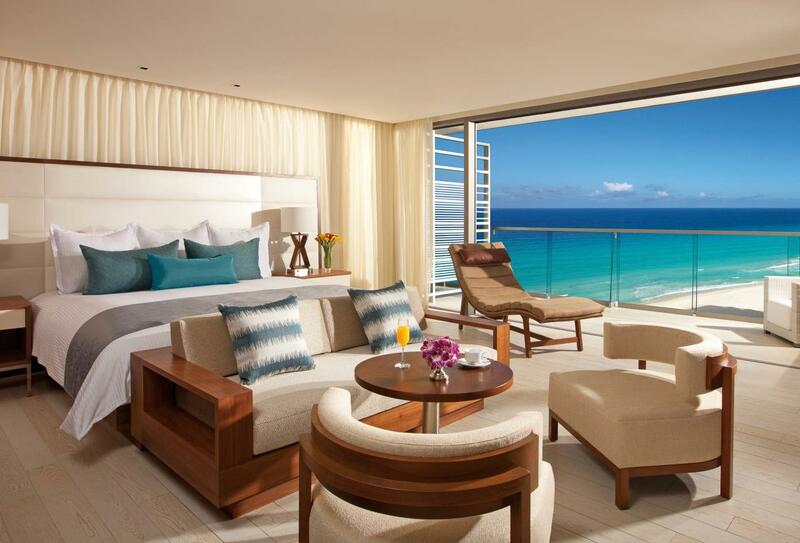 Overlooking the oceanfront, these rooms include a king-size bed as well as a living area and furnished balcony. 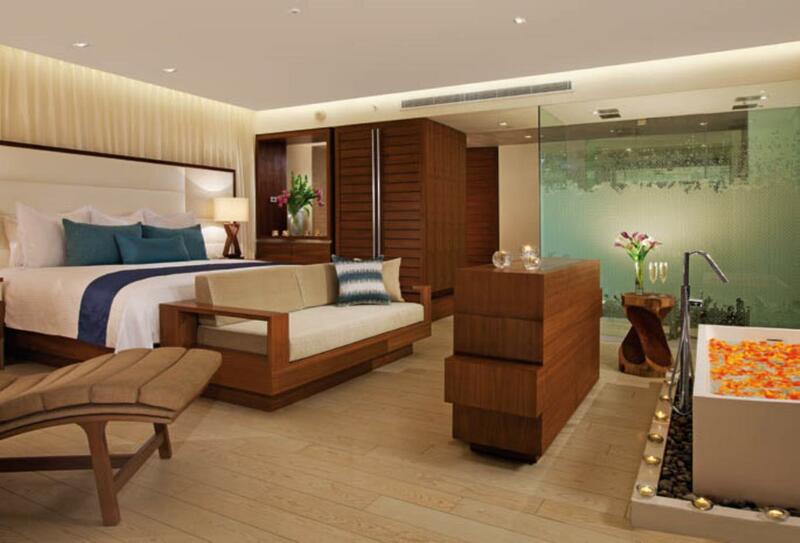 Ideal for newlyweds, this room includes a king-size bed as centrepiece, as well as sitting area. These rooms include a choice of bed configurations, either one king or two queen size beds, and benefit from the Preferred Club amenities as detailed above. 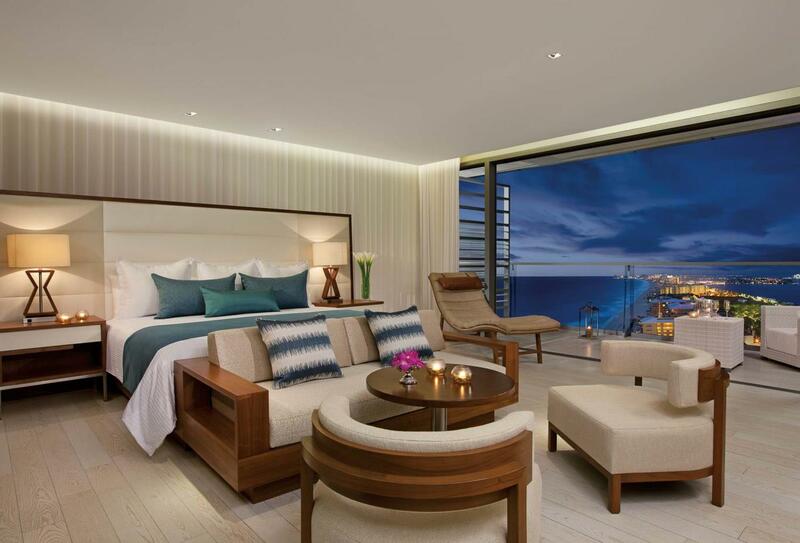 These suites include a king-size bed, living area, and furnished balcony overlooking the tropical ocean front. 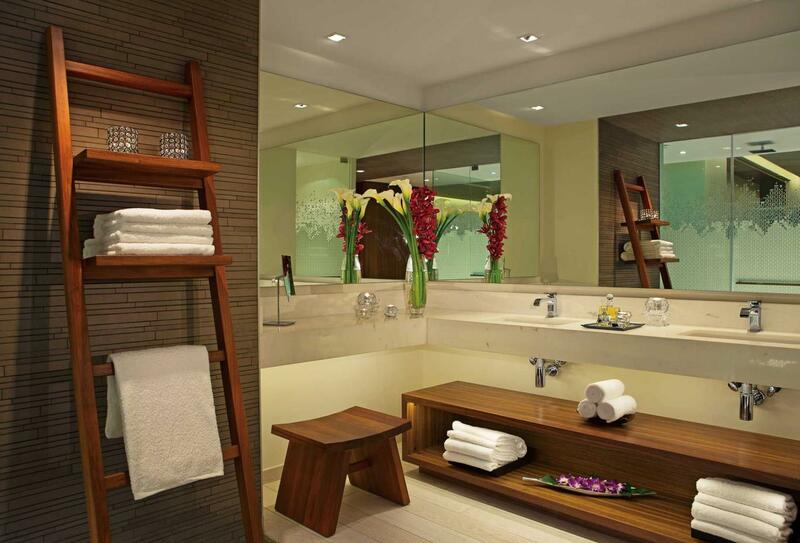 Guests who stay in this suite also benefit from the Preferred Club amenities. 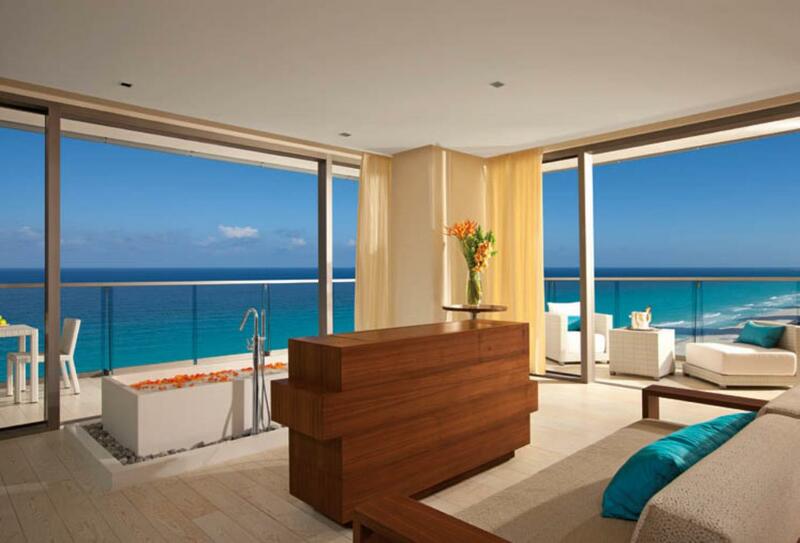 Perched overlooking the ocean front, these suites include a king-size bed, living area and in-room soaking tub. 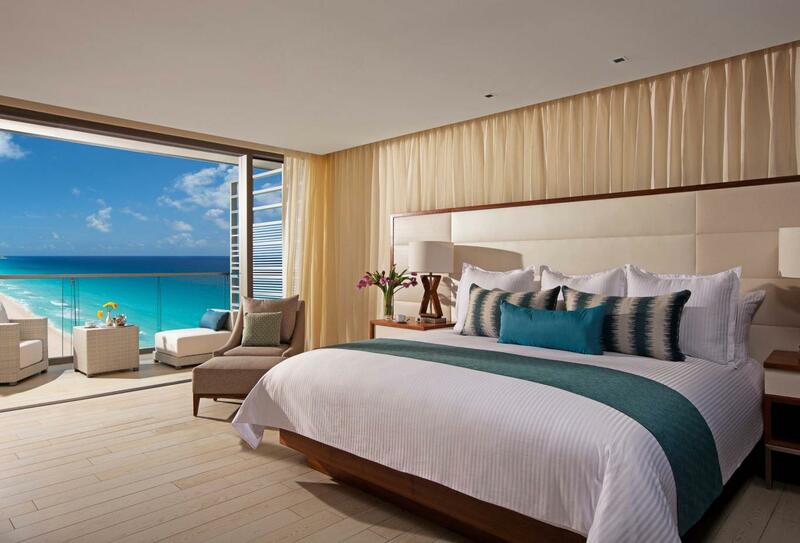 Popular with honeymooners, these oceanfront suites include a king-size bed as well as a generous living area. 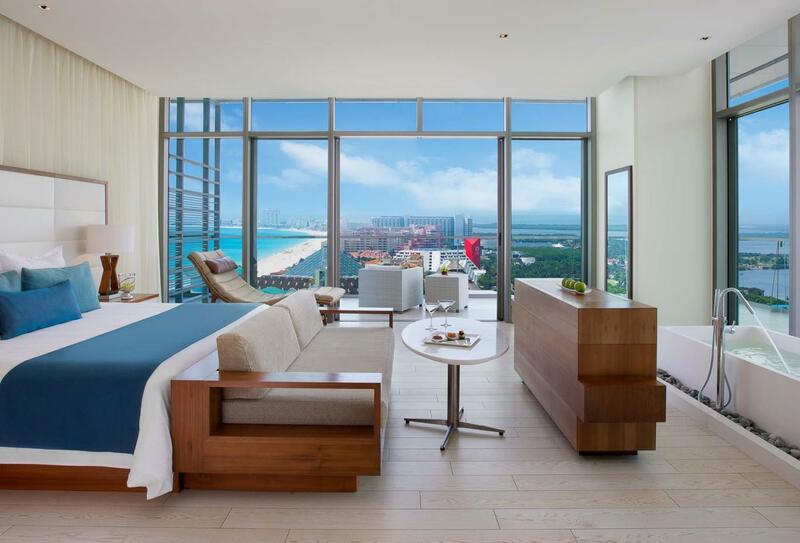 This master suite is ideally positioned overlooking the oceanfront, with ample indoor and outdoor living space. 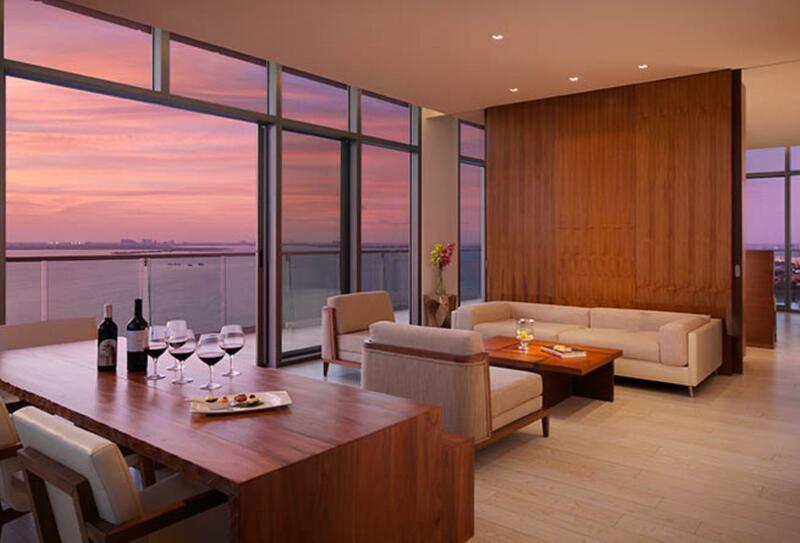 Guests who stay in this suite benefit from the Preferred Club privileges. 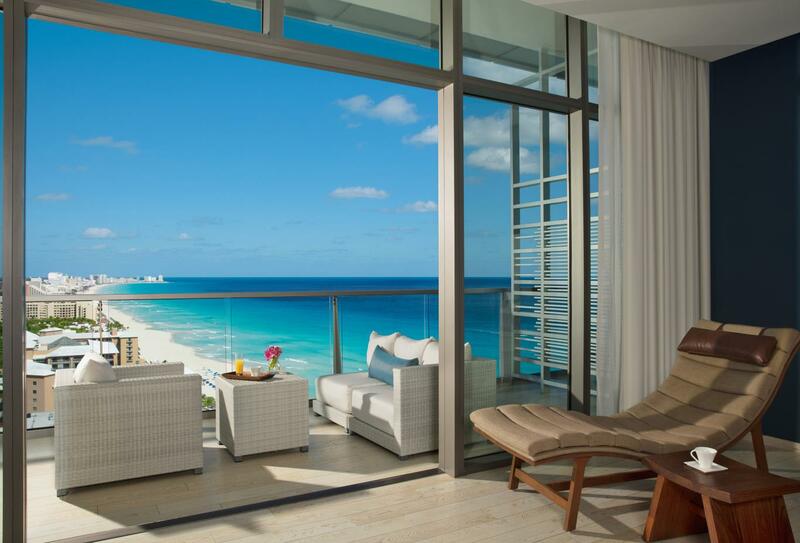 Ocean vistas frame the furnished balcony, while inside find a living area and deep soaking tub. These suites include a bedroom with a large king-size bed, as well as a separate sitting area with dining table. 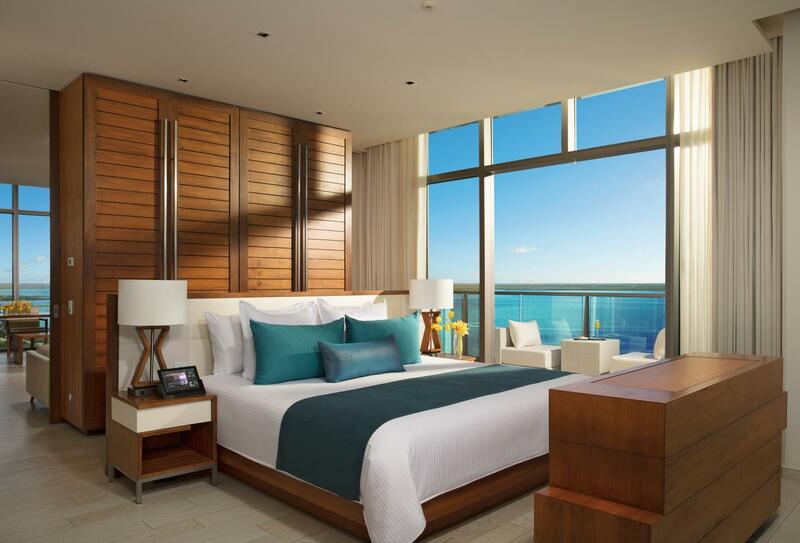 These master suites are ideally positioned overlooking the ocean waters, inside find a bedroom and separate living and dining area with in-room soaking tub. Secrets the Vine operates on an all-inclusive basis, with their Unlimited-Luxury® program which consists of the following features. 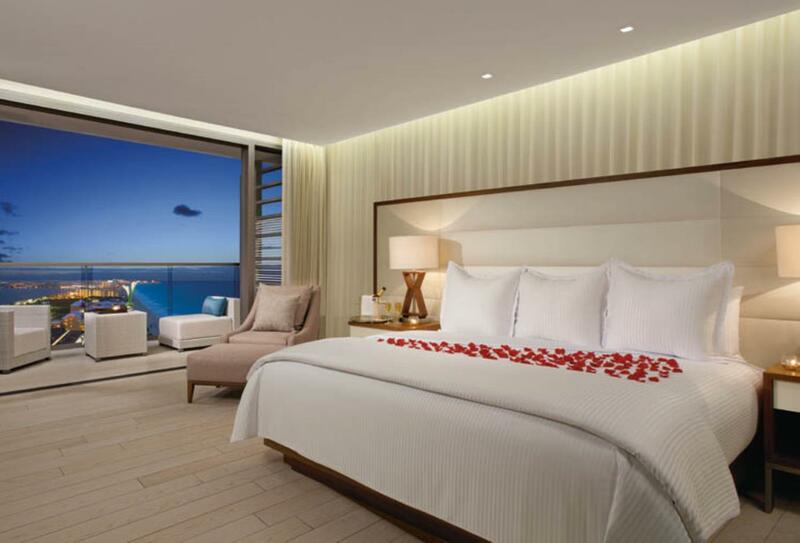 Secrets The Vine Cancun is an ideal location for your honeymoon, and the resort offers the following packages to help you celebrate. Price guideline: From US $999. 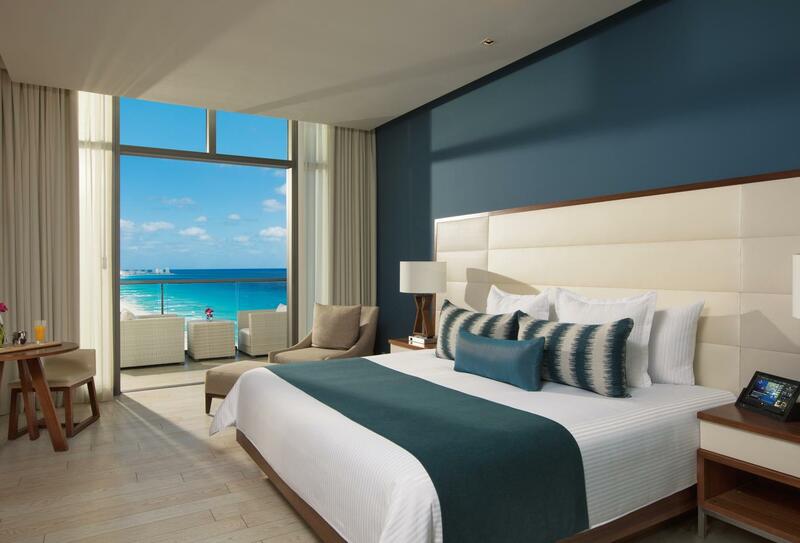 Complimentary when you book the Preferred Club Junior Suite Ocean View or higher accommodations category for a minimum of 7 nights. 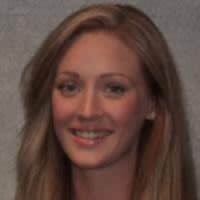 Couple must present a copy of their wedding invitation or marriage certificate at the time of check-in. 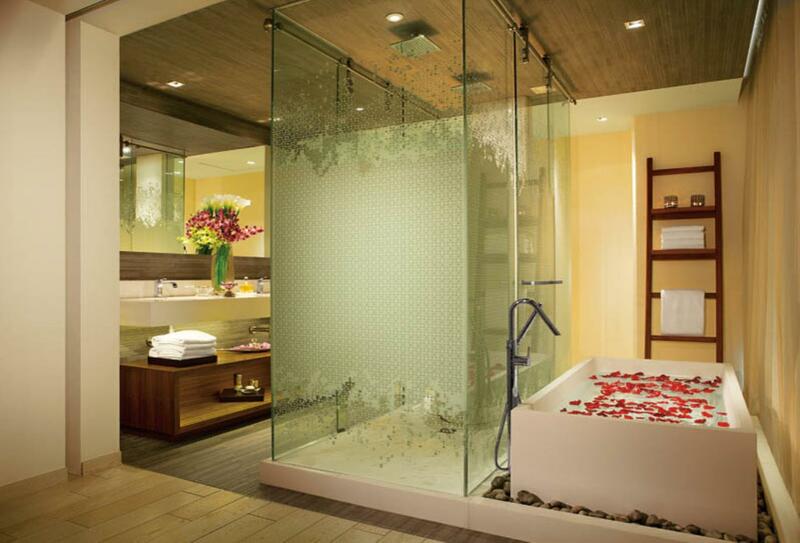 Honeymoon Package is only applicable to couples staying within three months of their wedding date. Boasting a stunning location on a pristine beachfront, Secrets The Vine Cancun is an idyllic setting for your romantic day, and the resort offers the following wedding packages to help you celebrate. Price guideline: From US $999. 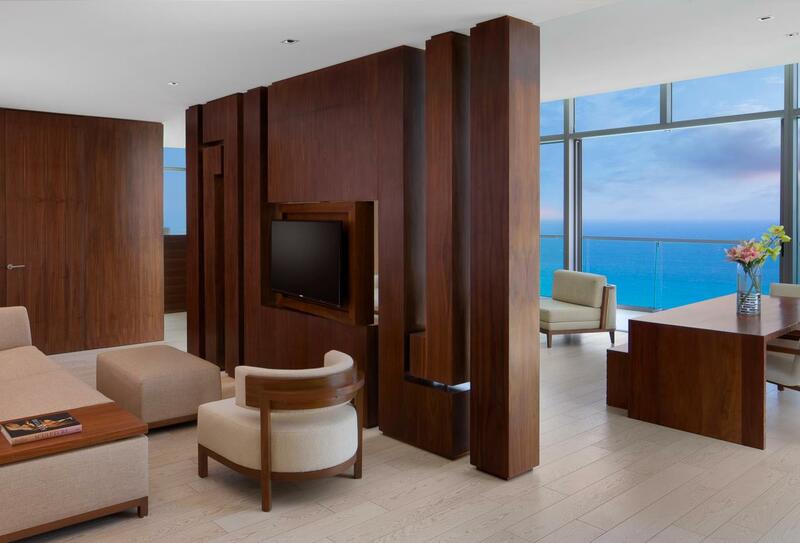 Complimentary when booking the Preferred Club Junior Suite Ocean View or higher, for a minimum of 7-night stay or if a minimum of 5 rooms are reserved for a minimum of 3 nights each in any room category. This package is available for wedding parties of up to 10 guests. Price guideline: From US $2799. Dependent on date of wedding. This package is available for wedding parties of up to 20 guests. Wedding packages and inclusions are subject to availability. This 12,500sqf space allows you to relax, rejuvenate and replenish with a range of pampering choices available, including modern hydrotherapy as well as indigenous treatments. *Some activities and services will incur an additional charge. 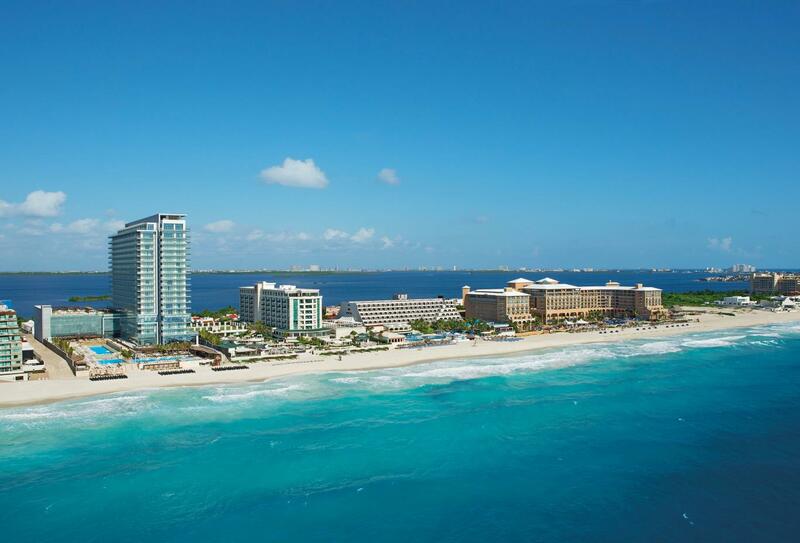 Secrets The Vine Cancun operates an All-inclusive package, details of which may be found in the All-inclusive section. Featuring fresh sandwiches and light lunches, served by the pool. Open for lunch 12:00-16:00. Indoor and outdoor dining at this distinguished grill restaurant which offers a fine dining menu of grills and steak specialities. Open for dinner 18:00-23:00. Elegant fine dining from the Far East. Open for dinner 18:00-23:00. 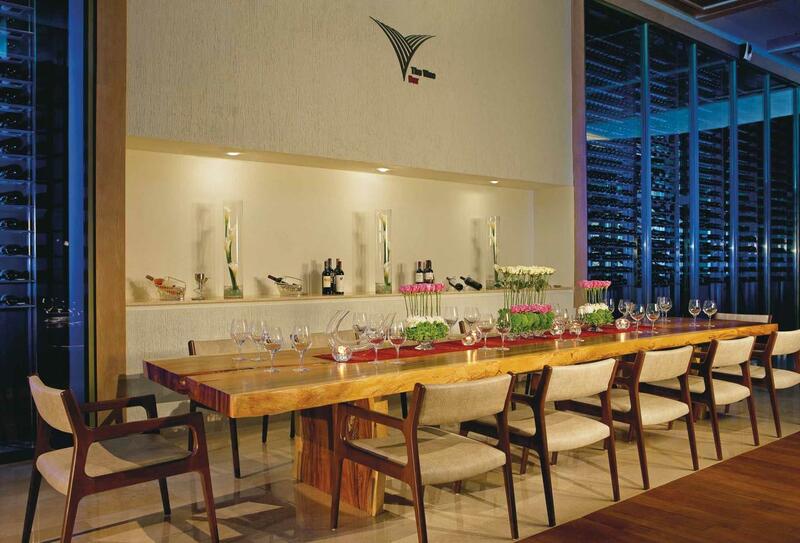 A lively and casual Mexican-style buffet and a la carte dining area with communal and private seating. Open for breakfast 07:00-11:00, lunch 12:00-15:00 and dinner 18:00-23:00. Indoor and outdoor dining in this modern Italian style restaurant which features an Antipasta Bar and stone pizza oven. Open for dinner 18:00-23:00. Featuring the best flavours from Tunisia, Morocco, Greece and Spain, prepared daily by master chefs. Open for dinner 18:00-23:00. Featuring fresh seafood and the best of Peruvian cuisine with exotic plates from Lima. Open for lunch 11:00-17:00, and dinner 18:30-23:00. 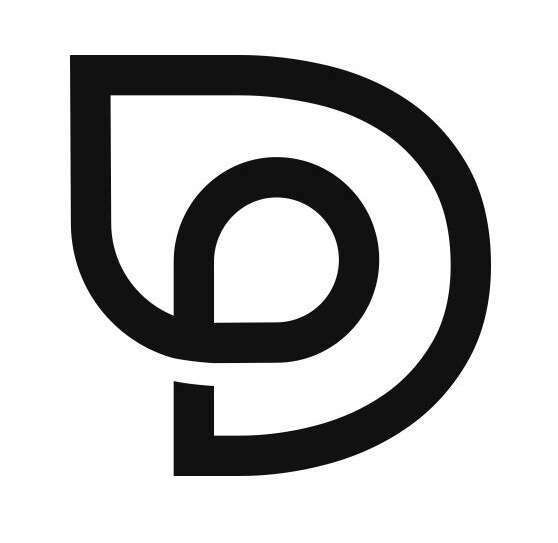 Enjoy premium coffee and snacks in a casual and relaxed atmosphere. Open 24 hours. Swim up, dance away or wind down in one of the 6 bars and lounges on site; Manatees poolside bar, Red Vine Piano Lounge, Sugar Reef pool bar, The Vine Bazaar: The Bar, Half Time sports bar, Barracuda beach bar and The Vine Bar wine cellar. As part of the privileges of Sip, Savour and See in the Unlimited Luxury® program, guests may dine around at: Secrets Capri Riviera Cancun, Secrets Maroma Beach Riviera Cancun, Secrets Silversands Riviera Cancun, Secrets Aura Cozumel, Secrets Playa Mujeres Golf and Spa Resort, Secrets Akumal Riviera Maya, Breathless Riviera Cancun Resort and Spa, Dreams Riviera Cancun Resort and Spa, Dreams Puerto Aventuras Resort and Spa, Dreams Tulum Resort and Spa, Dreams Sands Cancun Resort and Spa, Now Jade Riviera Cancun, Now Sapphire Riviera Cancun. 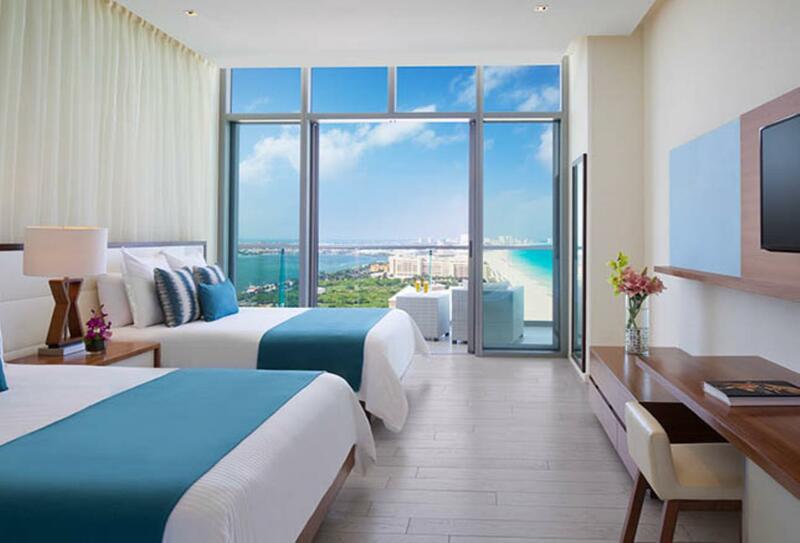 Set on the beach overlooking the Caribbean Sea, Secrets the Vine Cancun is situated aside some of the most luxurious resorts in Cancun.